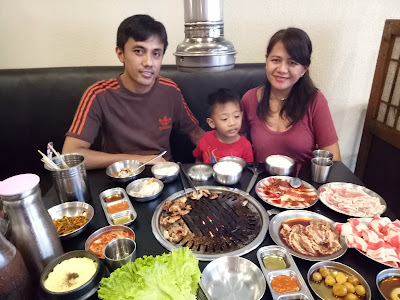 I wanted to try Samgyupsalamat Unlimited Korean BBQ at Mabini for longest time, i heard a lot of good things about this Korean Restaurant, one Saturday we dediced to give a try. 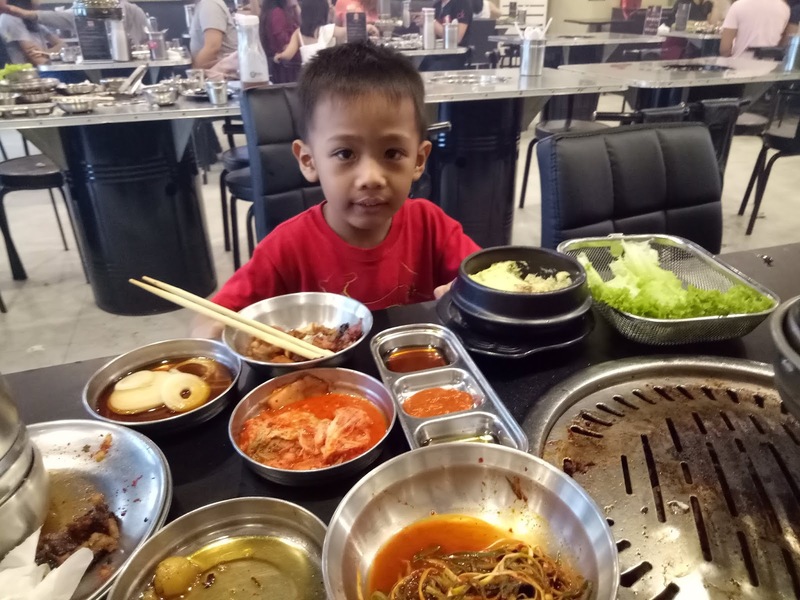 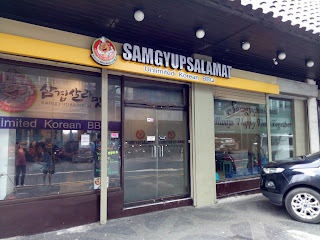 For those want to experience Samgyupsal, melt in your mouth meat at affordable price. 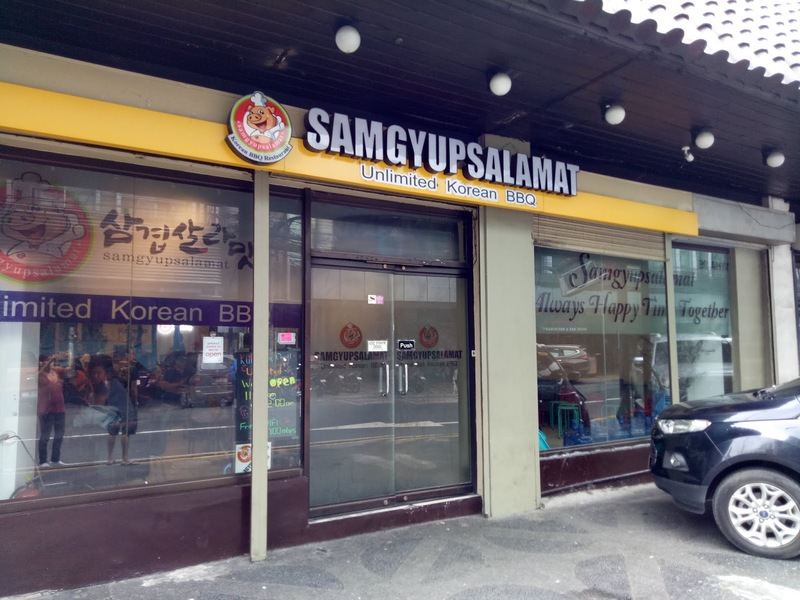 definitely you must try the Premier Samgyupsalamat at Mabini. 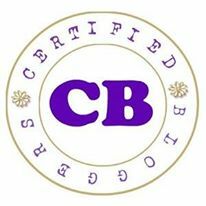 open daily everyday 24/7. Samgyeopsal is It consists of thick, fatty slices of pork belly meat. 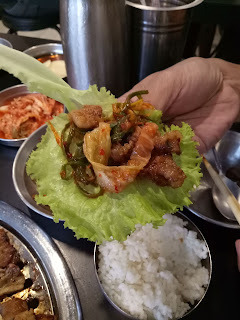 It is like your regular bacon only cut much thicker. 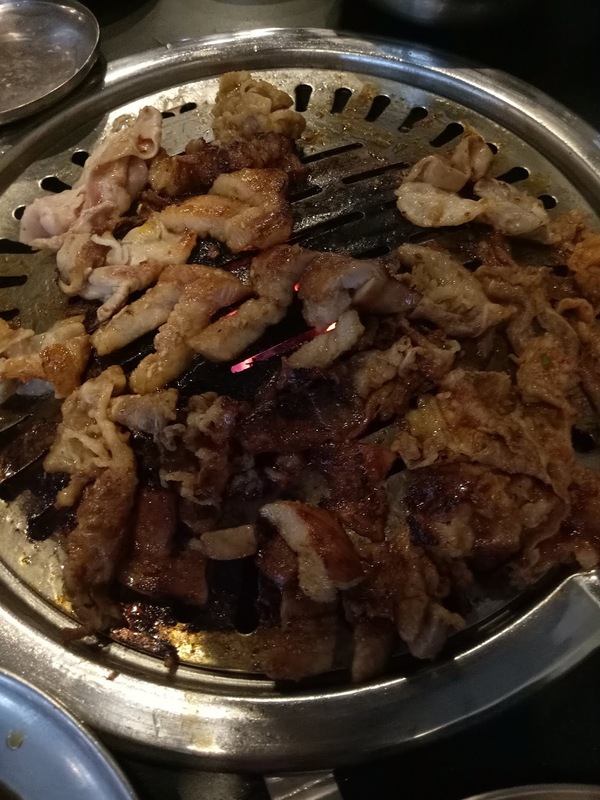 The meat, usually neither marinated nor seasoned, is cooked on a grill at table. upon entering staff are accomdating one of the staff assist us to our table and gave us the menu ,we arrive around 2pm its pass lunch na but still dami pa din customer medyo limited ang seats, pero nakakuha naman kami agad ng table. 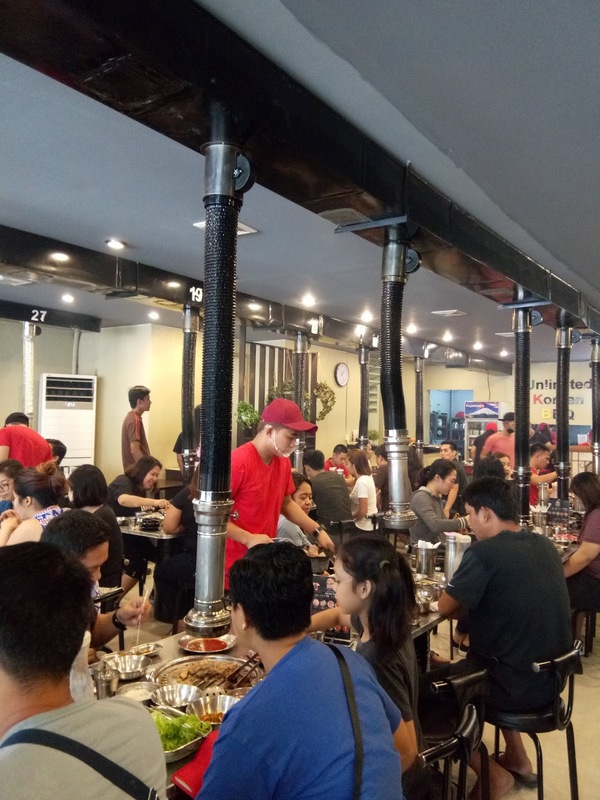 glad na di namin na experience yung long line buti hindi sa mismong lunch time kami dumating. 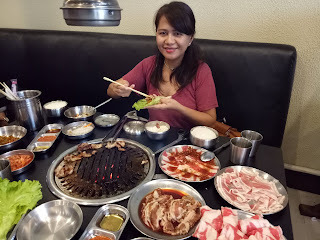 we ordered Unlimited 2 at the price of 449 comes with combination unli Pork and Beef while the Unlimited 1 at the price of 399 choice of pork only. 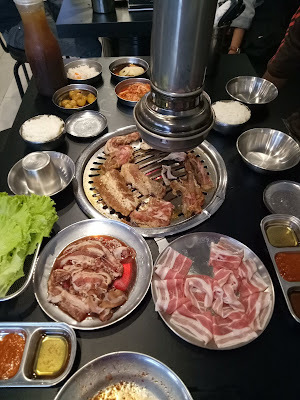 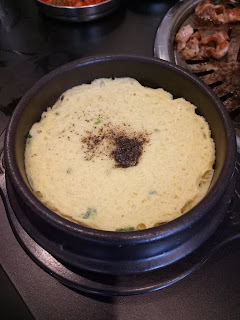 I'm fairly foriegn about Korean food so when the staff ask me kung ano ang una nya i served i told her yung best seller anyway unli naman , kung di ko magustuhan eh hindi ko na ippaserved uli. 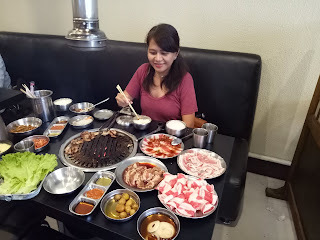 She first served 4 combination of meat from P2 Bul-JIB (pork) then the rest all beef Yangnyum beef, Beef Samgyup, Boolgogi. 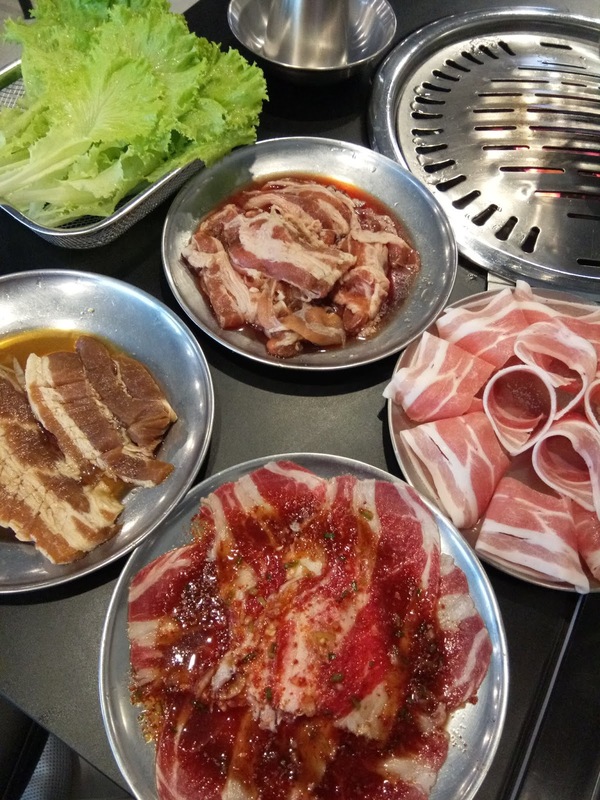 I prefer beef than pork. letttuce is always good idea with Samgyupsal pero talagang pinoy ako , i prefer to eat Samgyupsal with rice, 2 small bowl of rice ang maubos ko. 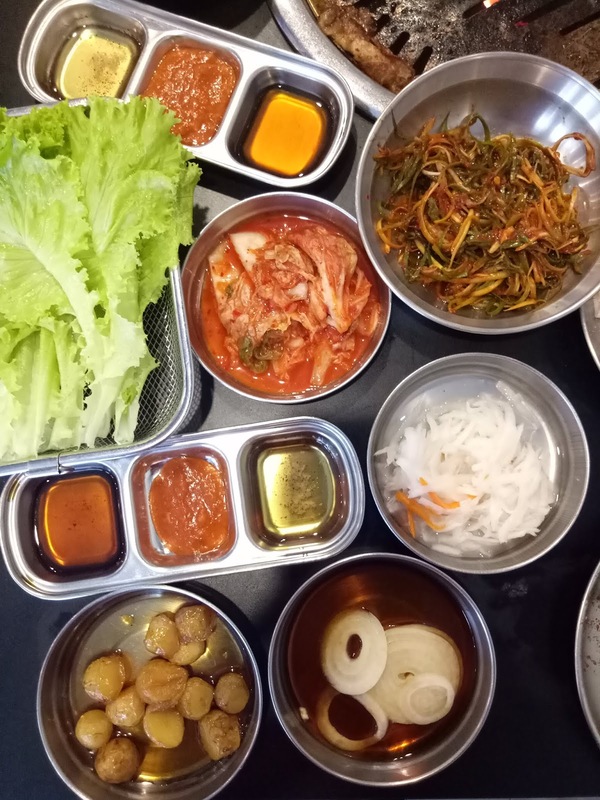 all the side dish are unlimited from kimchi , potato, onion, radish, bean sprout and even Ice tea was bottomless. 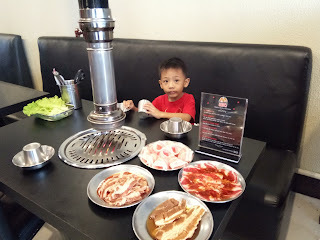 For me Yangnyum beef was among the tastiest i liked , i enjoyed the flavorfull marinated , acutally we had 3 rounds of beef Yangnyum beef, Beef Samgyup, Boolgogi and Bul-JIB (pork ) .we enjoyed every platter. sobra itim na noong grill after our 2nd round so pinalitan nila. 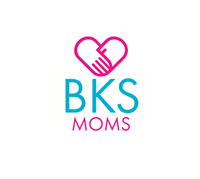 after many hours we decided to go Robinson Ermita , to buy school supplies for my son. although they have exhaust all the tube working well, but still we left smelling like grilled BBQ. 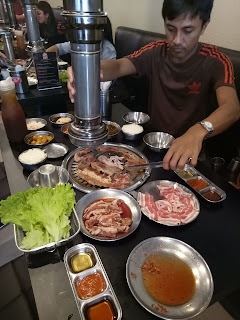 but its ok our experience was good for the price of Php449 unlimited pork and unlimited beef unlimited side dish , bottomles Ice tea. the quality of meat, thumbs up for that definitely we will come back .